If you’re a developer/publisher wanting to ask me questions regarding reviews, the site, or to request an interview, reach out to my Twitter. 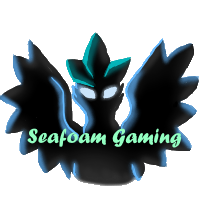 (@SeafoamGaming) Email is private and only given if I send you an email first. This is due to a spam attack/error with our host email. I do indeed send out review requests from a yahoo email, so if you have any doubts, don’t hesitate to ask the sender for verification, like communicating via my twitter or youtube, as I’ll gladly do so to confirm my identity. If you still aren’t sure or if you think you have an imposter, tweet at me ASAP or email the business address on my youtube channel.